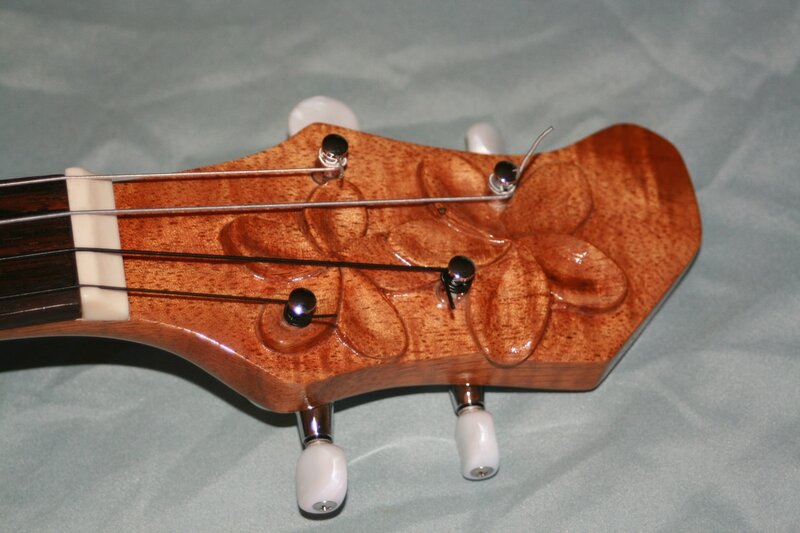 Tenor is the most common of all ukulele sizes on the market... 17 inch scale length, approximately 1 3/4 lbs. complete. All tops and backs are Carved, not bent! They start out as 3/4 inch stock, and are often only 1/10 inch thin when finished. 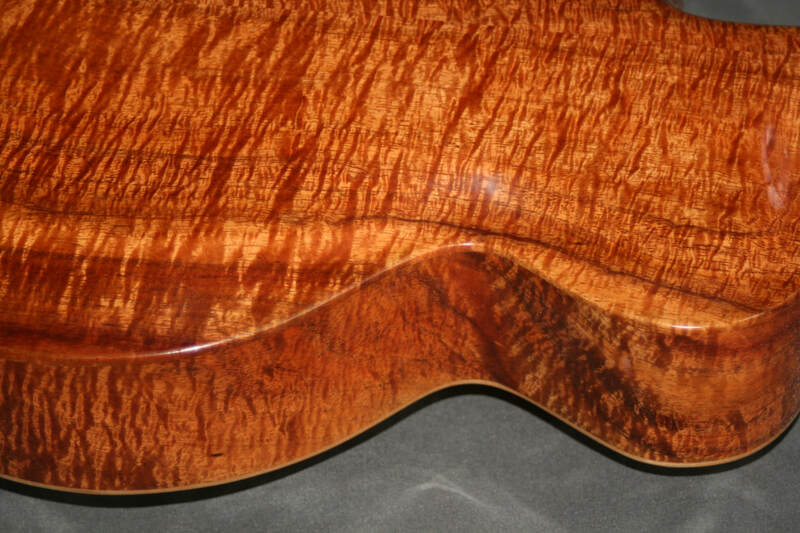 Want a closer look at an ukulele? Click on it's picture, and see the details. 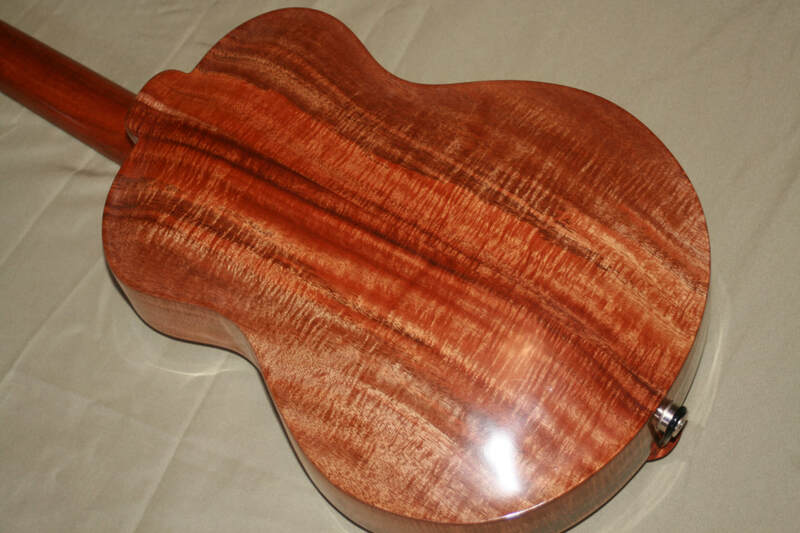 CONCERT ARCHTOPS ................. a favorite delicacy. Sorry, only one Concert is on hand at this time. She is known as "Isabelle", named after my Mother. 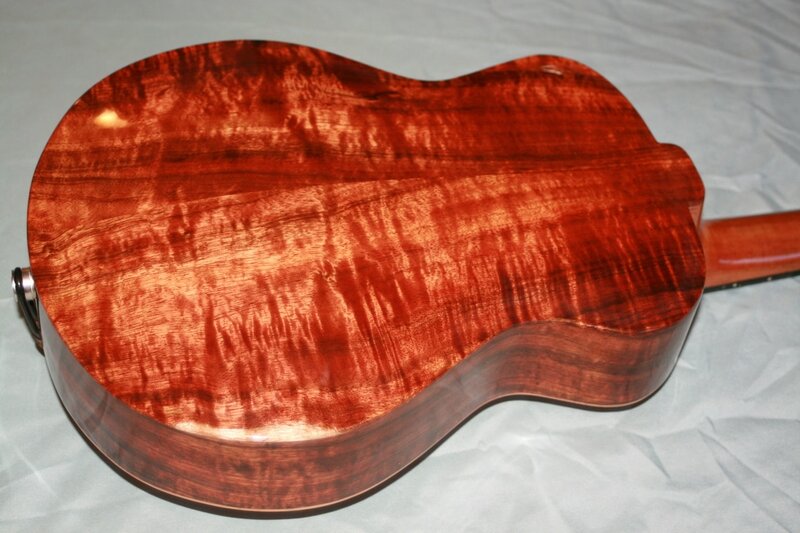 This ukulele is my display show piece at the Grand Wailea Hotel on Maui. 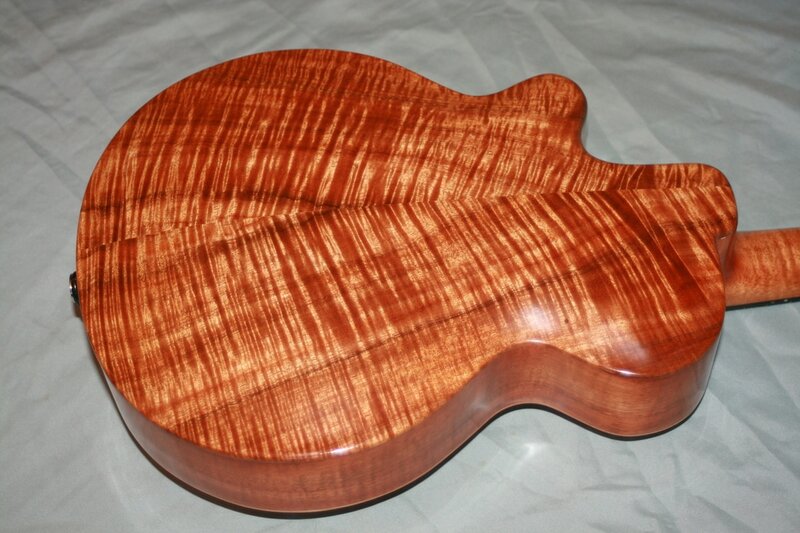 However, these Concert sized Ukulele are my finest work, commonly weighing in at about 1 1/4 pounds Complete. It is not quicker and easier to build something small and perfectly balanced compared to a larger version; it is much harder. And so, I rarely just make a couple and hope you will want it done my way... I wait for Custom Orders. The LAST CATEGORY OF AVAILABLE UKULELES. REDUCED PRICE, BUT NOT INCLUDED IN $500 OFF!